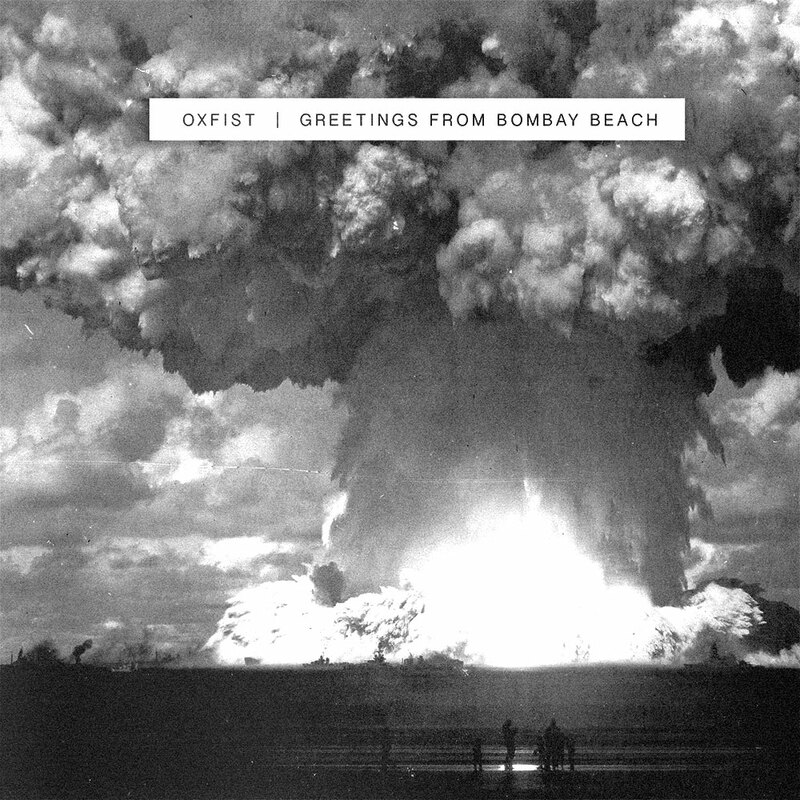 “Greetings From Bombay Beach” exemplifies what’s at the core of ‘Oxfist’, which is Will Watts’s desire to to re-shape time and space into new sonic realities that hint at a way out of our current predicament. This feat of aural alchemy is achieved through the blending of analog and digital instrumentation with modern and vintage studio techniques in such a manner that only an ensemble of cyborgs could reproduce these compositions, well, in a live setting. For the purposes of this three track EP, Watts tempered his usual “no holds barred” approach to sampling and composition, and limited himself to only the sounds found on Bombay Beach’s debut album, “Death Tape,” and nothing more. With access to the album’s raw multi-track sessions, Watts was able to cherry pick drum takes from one song, vocals from another song, ad. infinitum. to make up entirely new compositions from the original source material. The dynamic opener “Alien Gonzalez”, finds the taut, heavy, riff rock of Bombay Beach being smashed up against “Death Tape’s” drone-y, synth-laden interstitials, which results in a series of dizzying cascades and deafening crescendos that finally resolve themselves in the cleansing sounds of a light Pacific Northwest rain. “Do The Freak Out,” the second, and most “pop” track on the EP, finds the vocals from “Sonny” edited & re-sequenced in such away that the listener is pulled down the path of madness with Bombay Beach vocalist/bassist, Matt Zimmerman, as he attempts to explain why he believes that “today was a master plan” over an almost Madlib-esque beat. EP closer, “The Ghost of Gus Grissom,” could just as easily be taken as a dirge for the late Apollo I astronaut, as it could be an etude for software samplers. The singular drum take that comprises the song’s backbone sounds as though it’s been dipped in liquid nitrogen and smashed haphazardly with a hammer in places, while re-sampled guitars bleat out broken meticulous melodies over the mess. Even if you’re unfamiliar with Bombay Beach’s album “Death Tape” or their live shows, you can still enjoy these songs on their own, assuming that you’re more adventurous in your tastes. If you’re fan of contemporary artists like Oneohtrix Point Never, Clams Casino, Tim Hecker, Teebs, Fennesz, or Jefre-Cantu Ledesma, you might find some of this material to your liking. Fans of Watts’s other electronic project, the trans-Pacific “Art of Ballistics,” will also find something of interest here.